Fans of the hit WE tv reality show "Mary Mary" have witnessed a large dose of drama played out on their television screens, and now one half of the gospel music duo the show follows is explaining why. "TV loves those heated moments. When you have a reality show and they're following you, they catch all those heated moments and TV loves those heated moments more than they love those other moments," Mary Mary group member and co-executive producer Tina Campbell told Fox LA. "Life happens and it's not always easy and it's not always perfect. And again, the TV likes to show a lot of the craziness." While Tina and Erica Campbell have taken time apart to pursue solo music efforts, the pair still appear on and co-executive produce their show. 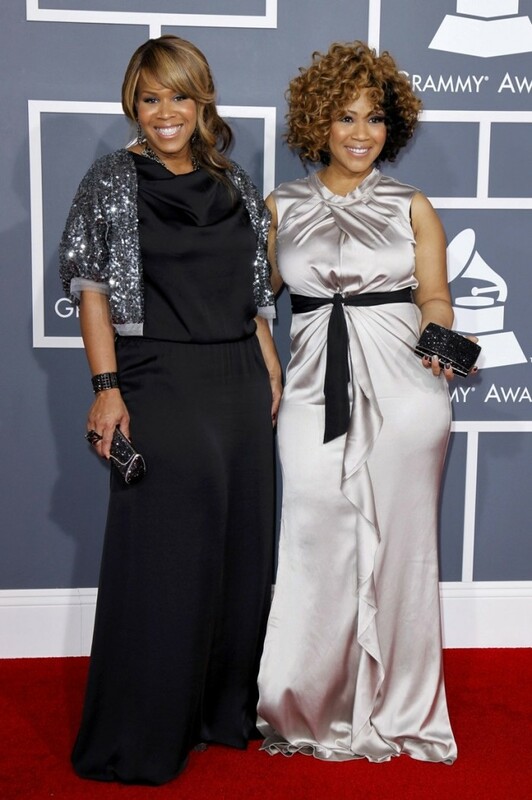 Now in its fifth season, the show highlights some drama, with Tina refusing to specify when she will be ready to make the next Mary Mary record that the group is contracted to create. This results in Erica's husband and group producer Warryn Campbell threatening to replace Tina with a potential option being presented by former Mary Mary manager Mitchell Solarek. Still, Erica told Fox LA that the show is about more than showcasing drama. "I'm hoping that what people are seeing is the fact that we stick together. And even though we argue big, we love big as well," Erica said. Her sister agreed with the sentiments, assuring fans that the sisters work through their differences in spite of all of the drama. "We do fix everything. We do work through everything," Tina said. "The next moment could be a great moment, but if the bad moment is better, that's what you show." Last year, Tina told JET magazine that she refused to engage in too much drama on her show this season. "I'm contractually committed, yet I want to reflect my God even with these executives and behind the scenes people," Campbell told JET magazine. "I'm not compromising my faith by no stretch of the imagination." While Tina is the more outspoken of the sisters, she admits that this season was harder for her to film because of her decision to release negativity in her life. "I'm not what TV likes. TV likes drama and I have a very big personality, [and] I think TV likes that kind of person, but, they're looking for fear and problems," Tina told JET. "I ain't that. So it's challenging for me at times. They've got to be creative when they're taping my life and things." The singer has also publicly documented her decision to forgive her husband and drummer Teddy Campbell for stepping outside of their marriage, and even agreed to renew their vows. After engaging in a number of interviews, taking to social media, and creating an album and devotional book about overcoming marital strains, Tina is ready to document the results of forgiveness on her show. "All we're doing is literally showing people what the process of forgiveness looks like — not just in marriage but in everything in our life," she told JET. Season five of "Mary Mary" airs at 9 p.m. ET Thursdays on WE tv.